If you’ve been following my blog, you are well aware that I have been photographing the Big Money Shot competition in Ottawa over the last few years. Earlier this year I was contacted by the folks at LiVE 88.5, who have become aware of my photographs of their competition. 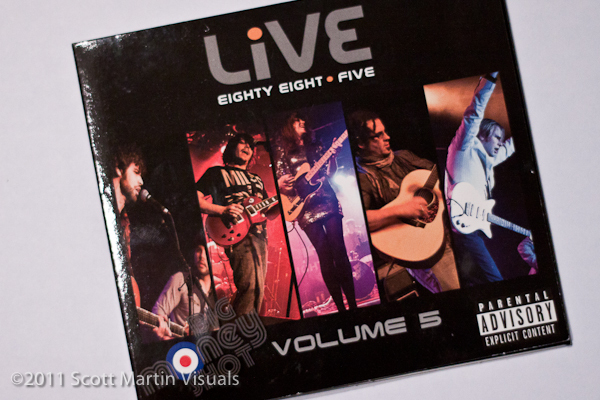 They were in the process of putting together Volume 5 of their Live at The Live Lounge series. Volume 5 was to be a Big Money Shot 2010 compilation. They were looking to use some of my photos from the 2010 Finals, 1 for each of the 5 bands that performed that night. The photos were chosen and the cd artwork was put together. 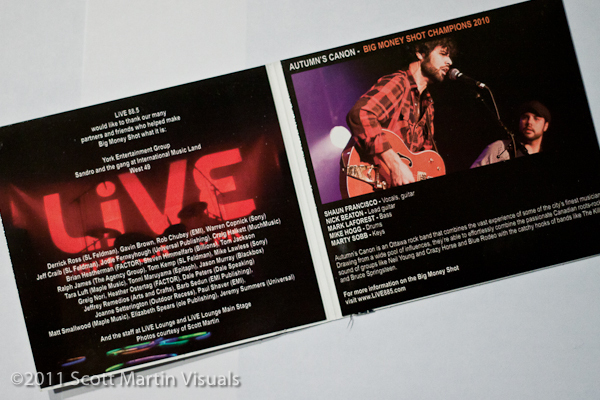 I am happy to say, that my photographs have now been featured in 2 cd packages this year. The first instance, was for Become the Sun‘s debut cd. Posted on August 31, 2011 November 2, 2013 by Scott. This entry was posted in Blog, Music and tagged Big Money Shot, LiVE 88.5, Live Lounge. Bookmark the permalink.